Your first mistake is underestimating Silje. Her disarming classic Norwegian looks mask a tough as nails professional who’s been competing since the age of six. Her silky smooth style combined with her deep bag of tricks have won her multiple Golds at the Winter X Games, a trip to Sochi and fans around the world. She’s made a habit of stomping her landings and anything that gets in her way of a podium. 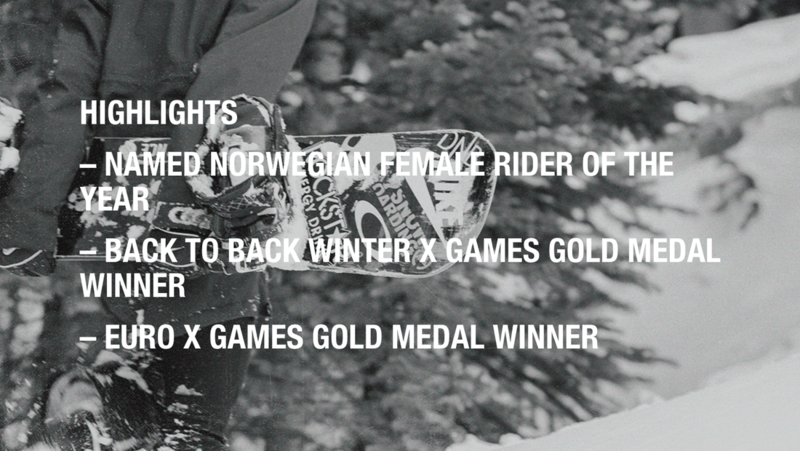 Silje takes her role as the future of women’s snowboarding seriously and works tirelessly to perfect her technique and hone her style as she competes around the globe.